2002– Large paper companies started selling off large tracts of nonproductive land. Snowmobile Trails were being rerouted off these lands to maintain continuity. 2003-MSA lobbied the congress& the National Forest Service to add money to the Ottawa National Forest to purchase some of the property to avert closure. MSA also had meetings with the local townships and villages that usually oppose the forest purchases due to lost tax revenue. MSA was able to show an increase in revenue for the areas to keep the snowmobile intact. To promote and facilitate the expansion and improvement of existing State of Michigan Snowmobile trails with permanent snowmobile trail easements. To lend support to any and all non-profit snowmobile organizations within the State of Michigan when it is requested as long as it in the best interest, and as long as this support does not violate any of the restrictions of the Articles of Incorporation or the Bylaws of the Association. To act as a resource and distribution point for information which furthers snowmobiling and trails, open to the public in general. To act as an agent for other nonprofit organizations to gain or acquire permanent easements or property for the use as snowmobile trails during the snowmobile season. 2004- With SCTC in place the committee starts an inventory of the private land connectors in the upper and lower peninsulas. 2006-The committee realizes that no matter how many fundraisers that SCTC has it will not be enough to fund the purchases of any substantial amounts of easements or property. The “Plan” is revised to include a funding mechanism by which snowmobilers in MI will pay an additional amount to their registrations to create a “Permanent Trail Fund”. 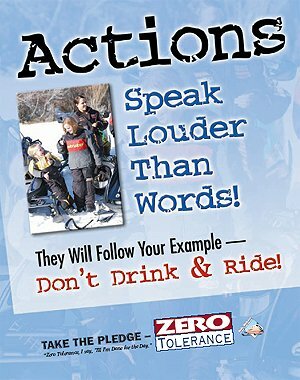 2007- January MSA works with our advocate and a few key legislators to introduce legislation to raise the MI Snowmobile Registration from $22 to $30 and create the “Permanent Snowmobile Trail Easement” account. The new DNR Director and staff lobby against the legislation because SCTC would hold the easements and the department does not like the language because they cannot use it! 2008- December After a long and contentious fight through all the committee hearings the snowmobilers win and legislation is passed to create the “Permanent Snowmobile Trail Easement” account. 2009/2010- Contained in the law was some language that a set of “Administrative Rules” be attached to the legislation. These rules are asset of guidelines for the Department of Natural Resources to follow to be able to spend the money collected. Archaic at best, so with the DNR administration against the legislation in the first place we had to resort to our plan and adapt what we want to see into the administrative rules. After about 18 months the rules were adopted the way we wanted and are part of the spending requirement of the plan. 2011- New Governor, so new heads of DNR, DEQ, MDOT, etc., so we are now going from the departments of NO- to the departments of YES! All new directors and with them and all new philosophy about how to handle constituents! We are now Partners; it’s going to take a while to get all the puzzle pieces in place, permanent trails are on hold for a while. 2012- We are told by our state trail coordinator that before any money can be paid out for permanent easement that an application is needed and that application has to be approved by the Attorney General’s office. As part of the new alignment of the divisions the whole Snowmobile Program is being moved from Forest Management Division (FMD) to Parks & Recreation Division both divisions are under the new DNR Director. We now have a new program manager to address us at the December Snowmobile Advisory Workgroup (SAW) and a major trail closure in the UP is about to happen. MSA steps in and using SCTC we reach an agreement with the out of state land owner to purchase 160 acres that contain our major East West corridor, trail 8. We hold his feet to the fire and he ok’s SCTC to purchase, our first using the fund. 2013 The Snowmobile Advisory Workgroup gets some new leadership from the Parks & Recreation Division (PRD). We start over to educate department personal about the many facets of the snowmobile program. 2014- Things are progressing with the whole program being in PRD, one of the items for the new snowmobile program manager is to find out about the Permanent Trail application being reviewed by the Atty General’s office. To our dismay, there is no review, nor is one required. 2015- The state trails coordinator retires with no notice! When the closet door is opened all the BS and lies, to most all of the recreation groups come tumbling out to the dismay of all trail enthusiasts in MI. The new program manager vows in a SAW meeting to have a mechanism in place to spend the now 6 Year fund. 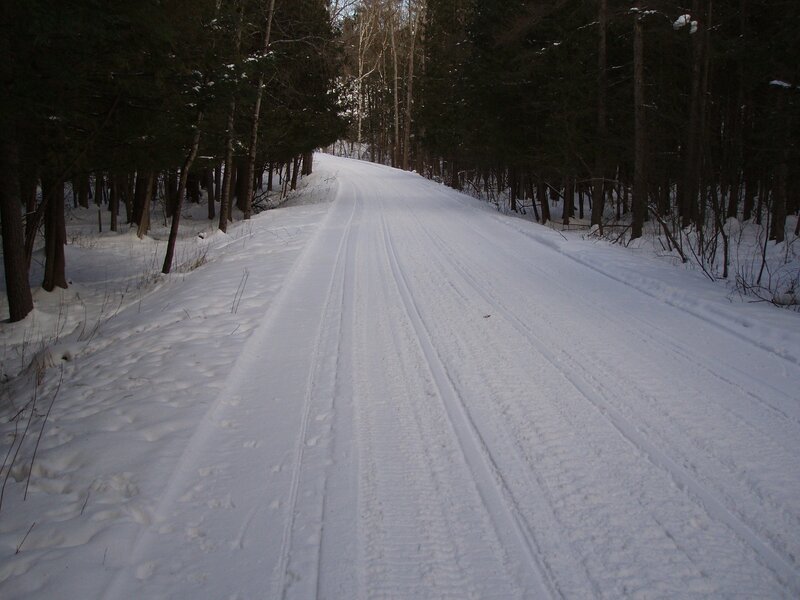 The Michigan Department of Natural Resources today announced a new grant program for 501(c)(3) organizations and local governments to purchase permanent easements for snowmobile trails. An easement is an authorization to use land for a specific activity, such as snowmobiling. September 2015- DNR Program manager is true to his word, he gets the application and process in place so governments and nonprofits can apply. October 2015- The SAW workgroup asked the DNR to put together a review committee and have a member of SAW on the committee. December 2015- The SAW committee meets again and is informed that the department has received more requests for Permanent Trail funds than the money appropriated in this year’s budget. The SAW asks the DNR about the review committee, who is on it, and when do they plan on meeting? The SAW committee places Bill Manson as their representative to the Permanent Trails Review committee. The appropriation for FY 2016 is $140,000.